September is National Suicide Prevention and Awareness month. 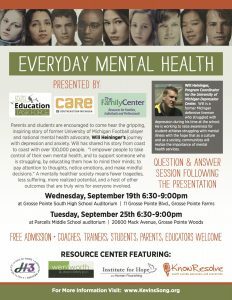 Please join us for a free program geared towards parents and students. Hear the gripping, inspiring story of former University of Michigan Football player and national mental health advocate, Will Heininger’s journey with depression and anxiety. Will has shared his story from coast to coast with over 100,000 people. “I empower people to take control of their own mental health, and to support someone who is struggling, by educating them how to mind their minds; to pay attention to thoughts, notice emotions, and make mindful decisions.” A mentally healthier society means fewer tragedies, less suffering, more realized potential, and a host of other outcomes that are truly wins for everyone involved. Program Coordinator for the University of Michigan Depression Center. 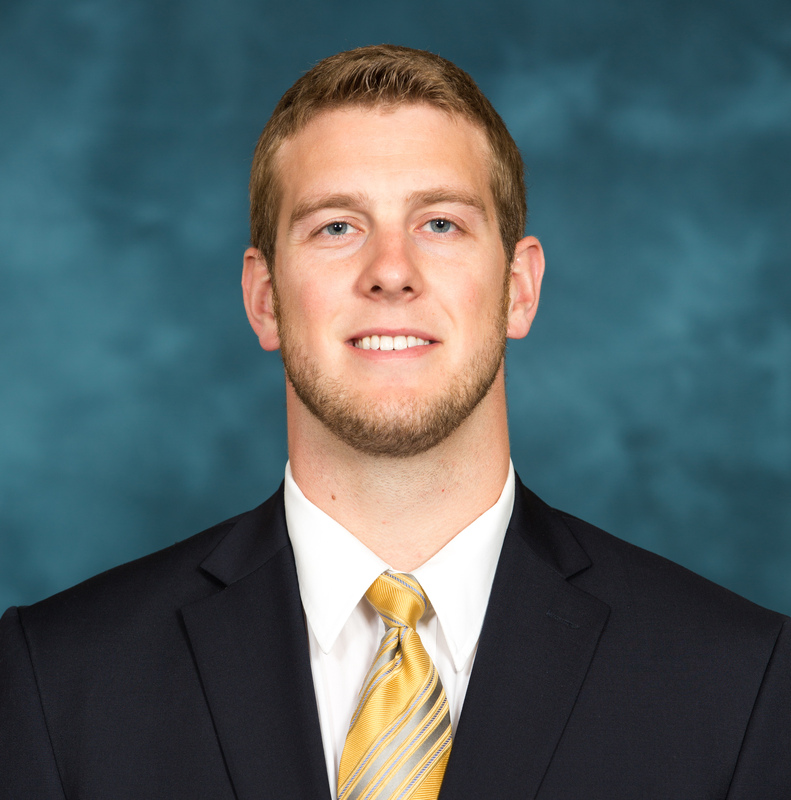 Will is a former Michigan defensive lineman who struggled with depression during his time at the school. He is working to raise awareness for student-athletes struggling with mental illness with the hope that as a culture and as a society, communities will realize the importance of mental health services. There will be a resource center at the event. People can come to find resources and learn about organizations that are helping us understand the causes of suicide as well as effective methods of preventing it. – Wentworth and Associates P.C.